Dated 2002. Comes with a Certificate of Authenticity. Stretched canvas, ready to hang. 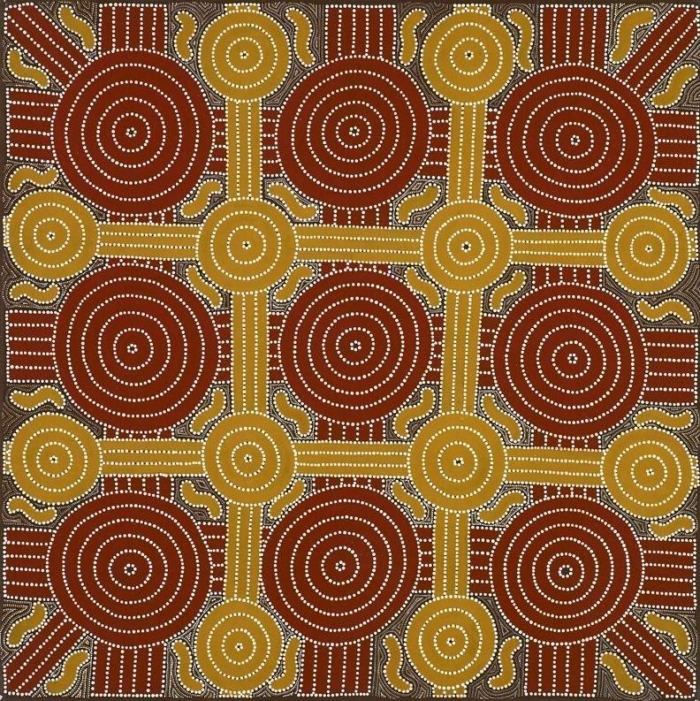 Ochre concentric circle represent sites where the caterpillar can be found connected by tracks (parallel lines). 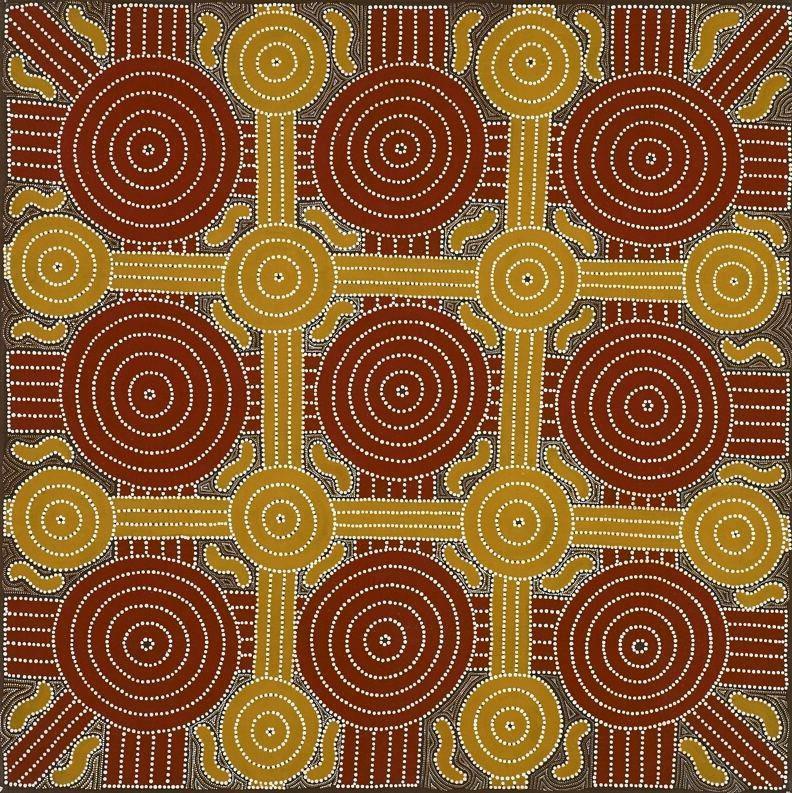 Underlying layer of concentric circles and lines allude to the artist's country and journeying lines of Caterpillar Dreaming ancestors.